If you’re looking for luxury Tanzania safari holidays, Ubon Safari can provide that for you! 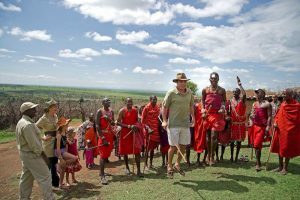 Tanzania is a country in East Africa and a beautiful destination to visit with endless safari opportunities. Prior to its independence from the British rule, the country was called Tanganyika. Shortly after the independence, Tanganyika and Zanzibar merged to form the United Republic of Tanzania. Dar Es Salaam is the capital city of the country. 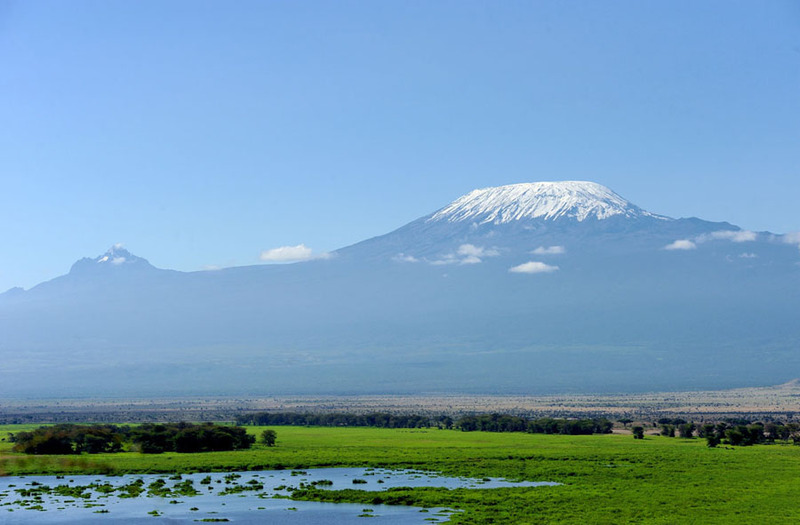 Kilimanjaro is the main attraction for a Tanzania safari holiday. Mt. Kilimanjaro is the highest longstanding mountain in Africa. The main peak is estimated to be 5,895 metres high! Tanzania has two wet season, the long and short rain. The long rain seasons are between April and May. The short rain seasons fall in November (the long rain seasons are best avoided, especially for Southern Tanzania safaris). 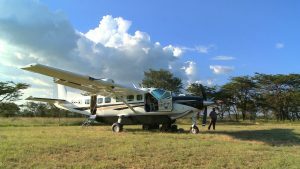 Tanzania can be visited all year round although best time is during the dry season from June to October. JUNE, JULY, AUG – Morning and Nights get cold. NGORONGORO is cold throughout the year. HIGH SEASON – JULY – MARCH – Northern Parks get crowded and Southern Parks are less explored. LOW SEASON – APRIL AND MAY – North parks busy and South Parks close a lot of camps however some are open. Dry Season is the best for wildlife viewing as the animals are around waterholes and grass is shorter. Please enquire with the Tanzania Embassy in your country of Residence as we recommend you get you visa before you before you travel. Porters we recommend a minimum of USD 5 per person per day. Most places have WIFI internet however in camps and lodges you may be limited to some specified areas, for Camping safaris there is no internet. Most of Tanzania has great mobile coverage especially in cities and towns. There’s limited access in some of rural areas. A local sim would be easily available for purchase. ATMs are plentiful in major cities and towns. Electricity in Tanzania has 230V and 3 Pin flat plugs although some new hotels are now having round pin plugs so carry your travel plug. Always ask for Receipts when purchasing any items and keep them for the duration of your trip. 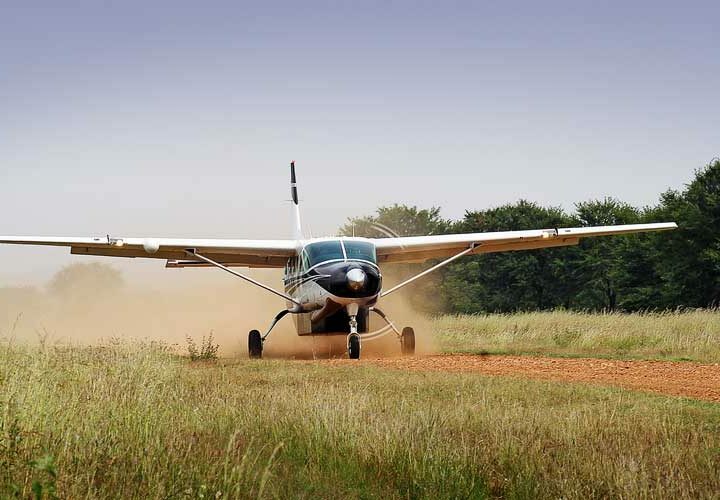 Here at Ubon Safari, we do our utmost to ensure that you have a spectacular adventure when you’re visiting Africa. 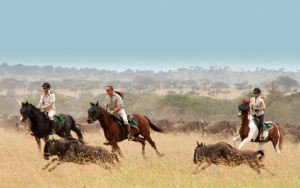 If you would like to book one of our luxury Tanzania safari holidays, contact us on +44 203 198 0484 and one of our friendly team members will be more than happy to help. 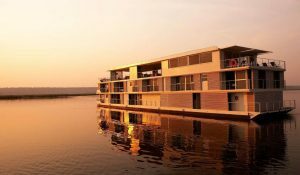 Furthermore to say, that Ubon Safari is one of the luxury African safari companies. 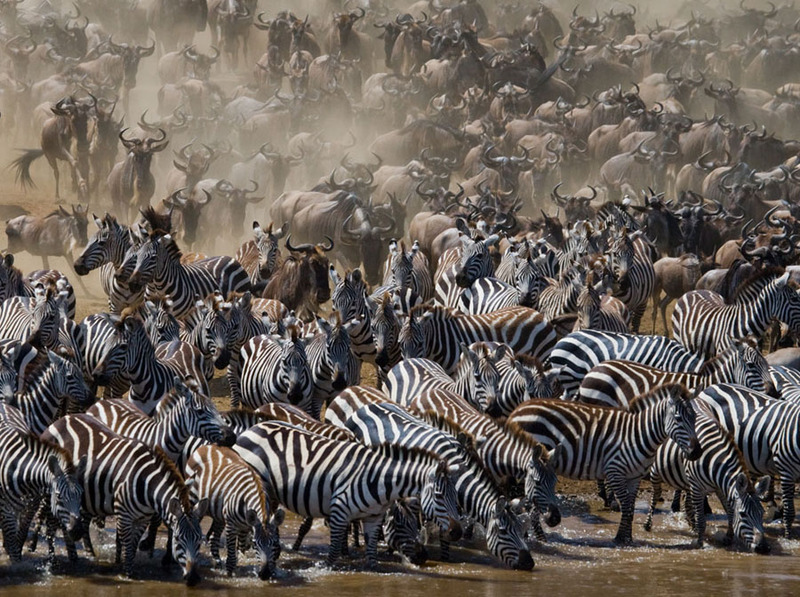 Serengeti National Park is Tanzania’s most popular and oldest national park. In Maasai language of the natives’ Serengeti means “endless plains”, laid out to accommodate the migration of the wildebeest, the homely grazing animals whose 2-to-3-million-member herd play the dominance attraction and starring role in the park. 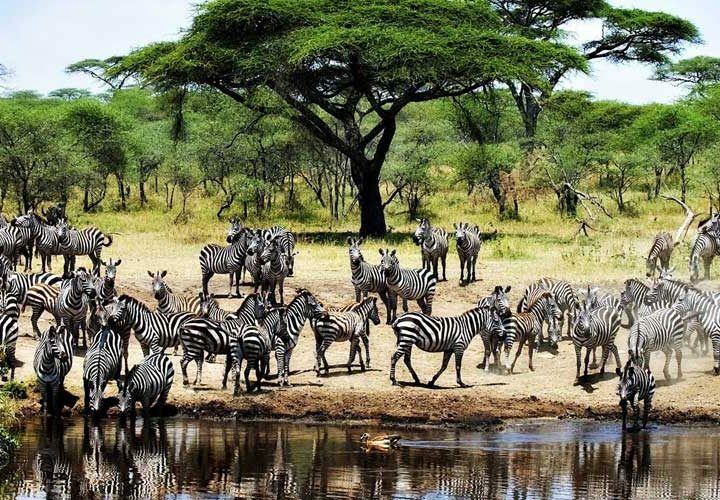 The Serengeti National Park covering 14,750 square kilometres, lies in between the shores of Lake Victoria in the Eastern side and Kenya’s Masai Mara to the Northwest. With hills rising out of the seemingly endless plains, rivers and small lakes, magnificent rocky outcrops and the occasional swamp add to the memorably breath taking scenery of the safari park’s fascination. Famous for its Wildebeest population, the park is believed to hold the largest population of Lions in Africa due to the abundance of prey species. 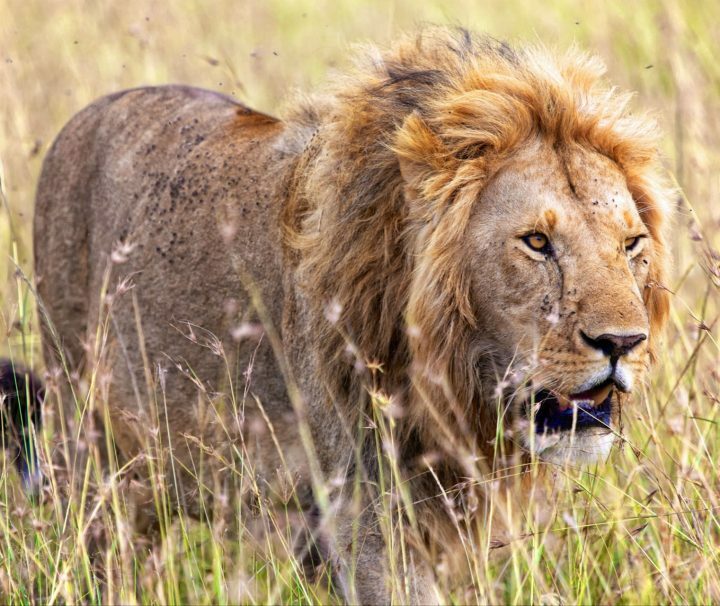 The vast Serengeti is a home to many other species along with Leopard, Cheetah, Topi, Eland, Waterbuck, Warthog, spotted and striped Hyena, Baboon, Giraffe, Impala, Elephant, Wild dog, Ostrich, Marabou stork, Kori Bustard and many more. 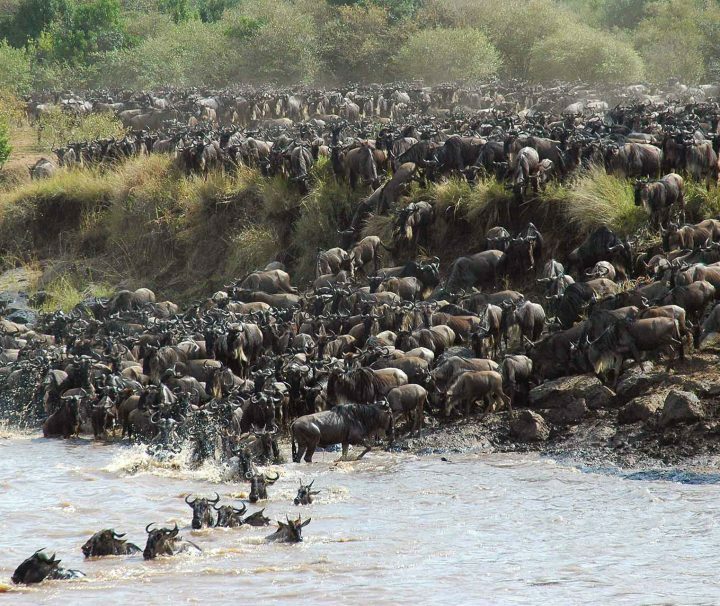 The Widebeest migration follows the vegetation and rains, move between Serengeti and Masai Mara (Kenya) throughout the year. Lake Manyara National park is one of Tanzania’s smaller safari parks, blessed with stunning views from corner to corner. From the eastern side of the park, the Rift Valley escarpment emerges on the horizon with the glittery lake forming a glistening background. On the southern side, you will stumble upon the hot springs of Maji Moto. The size of the park is 330 square kilometres with upto 220 square kilometres occupied by the Lake when the water levels are high. Best known for its abundant birdlife the park has more than 400 recorded species of birds. Wildlife also found in the park include Elephant, Baboon, Blue Monkey, Buffalo, Elephant, Dik Dik and Impala. The pink Flamingos are the highlight of Lake Manyara. This park offers an option of night game drives. Cultural tours, Bike tours and Forest walks can be done around the National park. 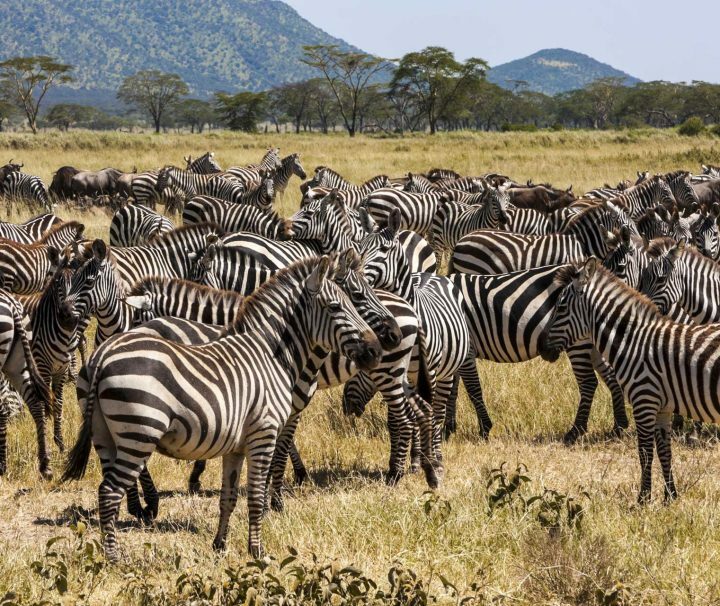 Situated in Northern Tanzania, Arusha National Park covers an area of 552 square kilometres and with just a 40-minute drive; it is the closest park from Arusha. 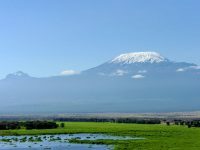 The Park covers Mount Meru, a prominent dormant volcano with a height of 4,562.13m; it is the fifth highest mountain in Africa and second highest peak in Tanzania after Mount Kilimanjaro. The Park has a wide range of habitats, from crater lakes where many birds can be watched, through the montane forest and upto the summit of Mount Meru. 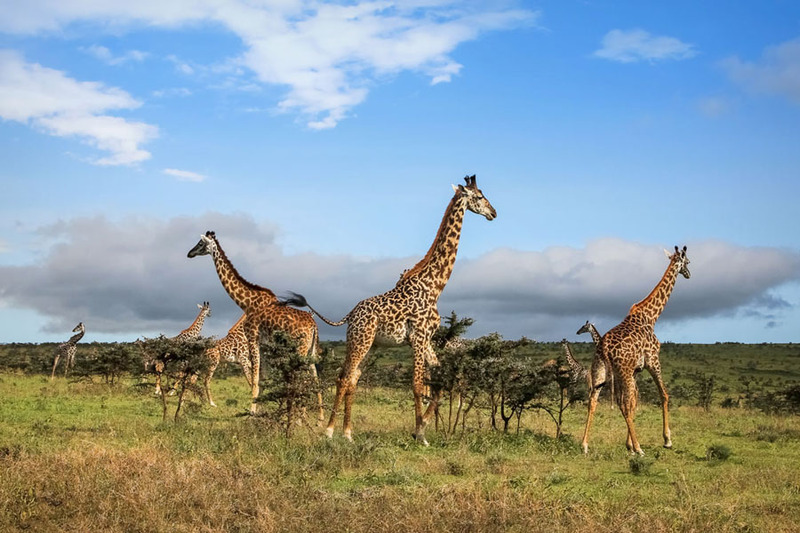 Despite it’s small size, Arusha National Park has a rich variety of wildlife including: Lions, Cape Buffalo, Giraffe, Zebra, Warthog and Elephant. Leopards are present but rarely seen. The Park is small but varied with spectacular landscapes in three distinct areas, the Meru Crater in the west, the Ngurdoto Crater in the South-east and the shallow alkaline Momella lakes in the north-east. 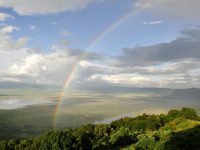 The Ngorongoro Conservation Area boasts the world-famous crater at its heart; the Conservation Area extends over a massive 8,300 square kilometres. It is located within a range of volcanic mountains in northern Tanzania, bounded to the east by the Great Rift Valley and to the north and to the west by the Serengeti National Park, and it includes several other extinct volcanoes (even an active one) and habitats that range from grasslands, swamps, lakes and rivers to woodlands, forests and desert-like dunes. 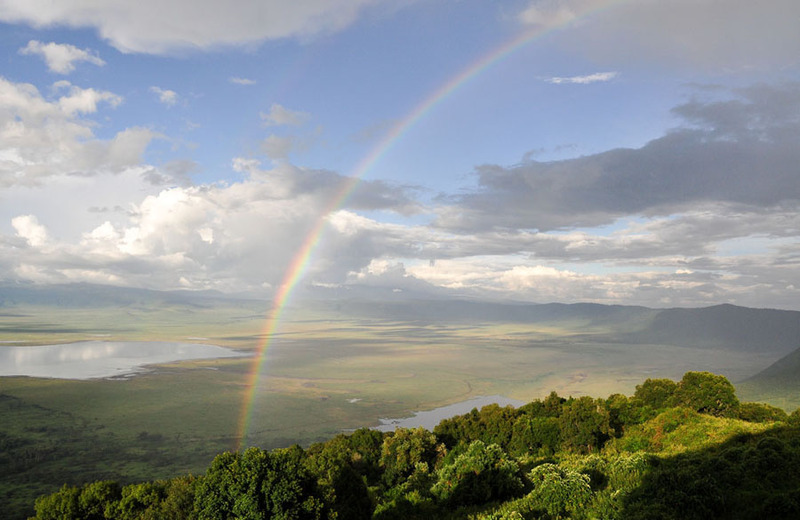 Ngorongoro Crater is the world’s largest inactive volcanic caldera. The crater was formed as a result of a large volcanic eruption over 3 million years ago. It is 2000 feet deep and the Crater floor covers an area of 260 square kilometres. The name Ngorongoro comes from the Maasai word El-Nkoronkoro, meaning “Gift of Life”. The Crater is a home to approximately 25,000 large animals that include the African or Cape, Buffalo, Hippo, Elephant, Zebra, Lions, Waterbuck, Grant’s and Thompson’s Gazelle. The Crater can be visited all year around. Covering an area of just 2,850 square kilometres, Tarangire stands between the Great Rift Valley and the plains of Maasai Steppe. Its unrivalled landscape of open plains, dotted with thousands of baobabs, is unforgettable. With a large ecosystem, the national park’s game varies with the seasons through the year. 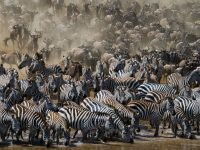 The best time to visit Tarangire is during the dry season from June to October, when the park rivals the Serengeti for the size of the game herds that congregate here. This is when many of the animals crowd around the only source of permanent water in the park, the Tarangire River. 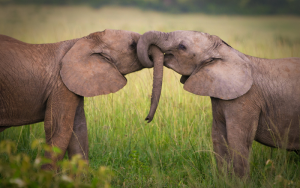 This is also the best place in Tanzania to see huge herds of elephant – up to 300 at a time. From November to May, during the wet season, most of the game leaves the park. 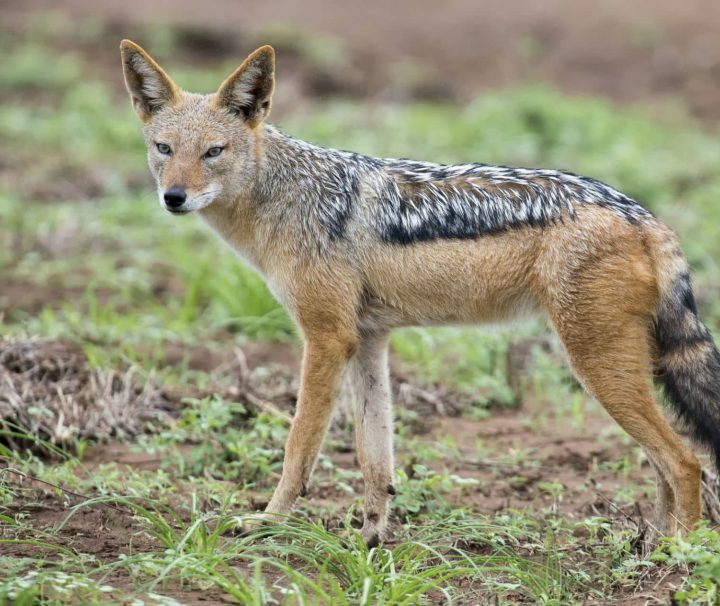 The wildlife found in this park include large number Elephant herds, Wildebeest, Zebra, Impala, Giraffe, Buffalo, Thomson’s Gazelle, Hartebeest, Reedbuck and Greater and Lesser Kudu, Lions, Cheetah, Leopards and spotted Hyena along with rare sightings of Wild dogs. The Birdlife in Tarangire also varies with the seasons and the game through the year. With over 500 species of birds recorded inside the park including Ashy starlings and flocks of the beautiful yellow-collared Lovebirds. Kilimanjaro, by any name, is a metaphor for the compelling beauty of East Africa. When you see it, you understand why. Not only is this the highest peak on the African continent; it is also the tallest free-standing mountain in the world, rising in breathtaking isolation from the surrounding coastal scrubland – elevation around 900 meters – to an imperious 5,895 meters (19,336 feet). There are seven established routes to climb the mountain, Marangu, Machame, Lemosho, Shira, Rongai, Umbwe and Northern Circuit routes. The Selous Game Reserve, located in the South of Tanzania at 55000km², is the second biggest conservation area in Africa and a proclaimed world heritage site. The reserve covers an area twice that of Denmark! 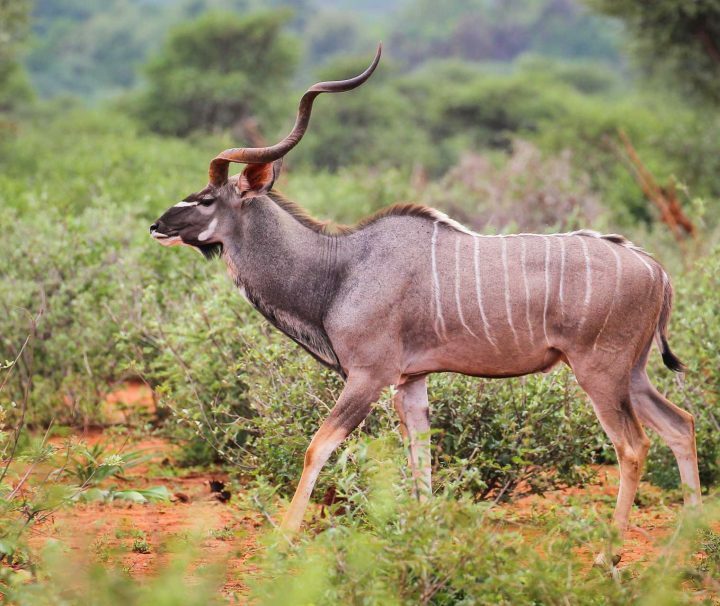 The reserve has been named after a famous big five hunter Frederick Selous who died in this territory while fighting against the Germans during World War I. 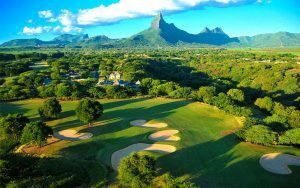 A true wilderness with a rich variety of wildlife, it is virtually undiscovered and remains one of Africa’s best kept secrets. The park is split into two contrasting grounds, the Selous and the Mikumi, by the great Rufiji River. 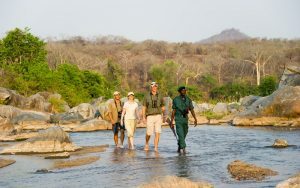 Walking safaris and Boat safaris are the popular activities in Selous. 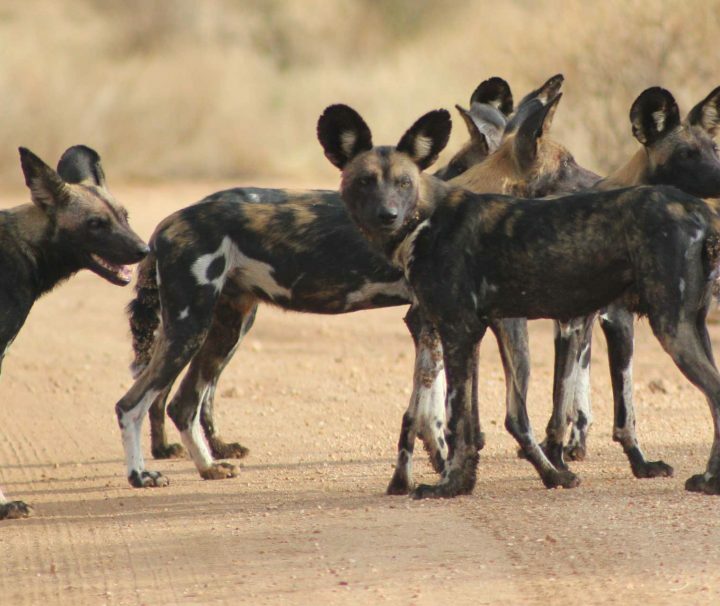 Some of the typical wildlife found in the Game reserve are Elephants, Hippos, Crocodiles, Lions, Wild Dogs, Cheetahs and Maasai Giraffes. Udzungwa Mountains National Park is located about six hours drive southwest of Dar Es Salaam and 75 kms from Mikumi National Park. Udzungwa is described as a “Primate National Park” since it is the only national park in Tanzania that harbors eleven species of primates. With the size of 1,990 square kilometres, Udzungwa Mountains is the only one among the ancient ranges of the Eastern arc to have been accorded its National park status. While not a conventional game-viewing destination, Udzungwa is popular amongst hikers. The park has no roads and is only accessible on foot. The hiking trails range from short one-hour trek to extremely challenging 6 days camping trek, with the Sanje Waterfalls being the most common trail that can be completed in about four hours. 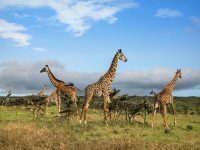 Mikumi National Park adjoins the northern border of Africa’s biggest game reserve – the Selous and is divided by the surfaced road between Dar Es Salaam and Iringa. Covering an area of 3,230 square kilometres, Mikumi is the fourth largest park in Tanzania and part of a much larger ecosystem centred on the uniquely vast Selous Game Reserve. The park is located 283 kms west of Dar Es Salaam, north of Selous Game Reserve and en-route to Ruaha National Park, Udzungwa and Katavi National Park. More than 400 bird species recorded in the park include Lilac-breasted roller and Bateleur Eagle. 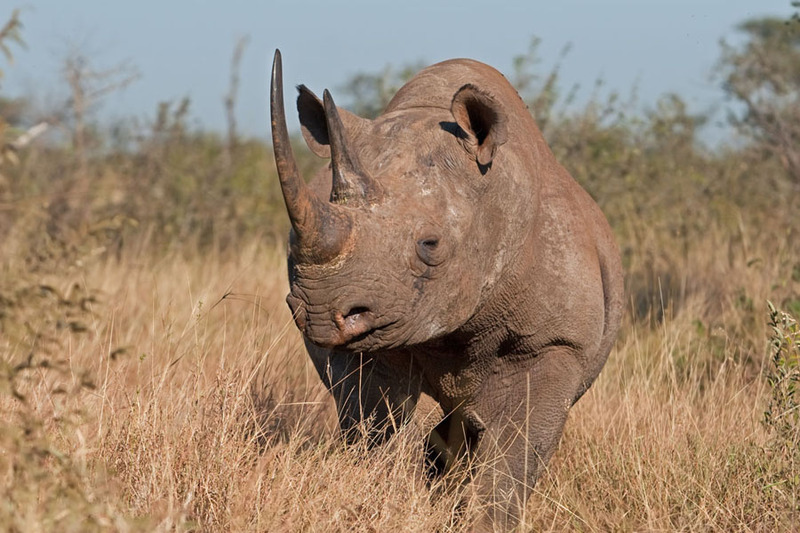 Wildlife found in this park includes Hippo, Elephant, Lion, Zebra, Wildebeest, Buffalo, Impala and Giraffe. Saadani is where the bush meets the beach. This is the only wildlife sanctuary in East Africa to boast an Indian Ocean beachfront. 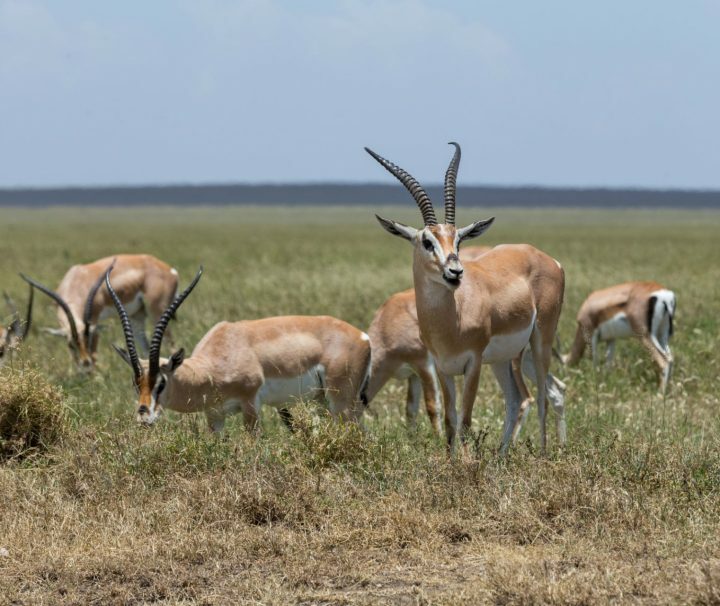 Saadani National Park is located on the north coast roughly 100kms northwest of Dar Es Salaam and a similar distance southwest of the port of Tanga. The Park covers an area of 1,062 square kilometres, it is generally accessible all year round but the access roads can be impassable during the rainy season between April and May. 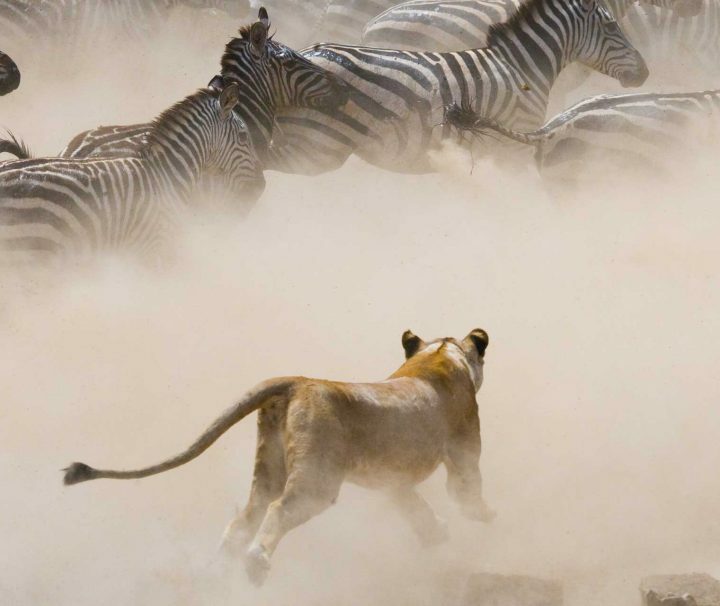 Situated in central Tanzania, the Ruaha National Park is one of the largest protected areas in Africa. It is the largest national park in Tanzania. 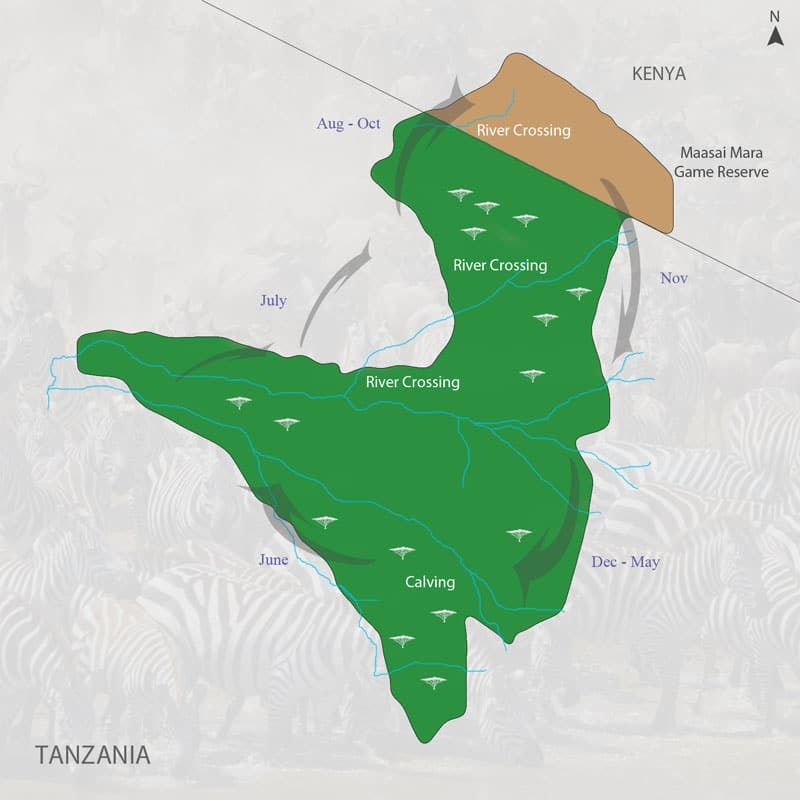 The addition of the Usangu Game Reserve and other important wetlands to the park increased its size to about 20,226 square kilometres making it one of the largest national parks in Africa. The name “Ruaha” is originated from the Hehe (Tribe in Tanzania) word “Ruvaha” which means “River”. Enormous Baobab trees are a key feature of Ruaha, where almost all individuals bear the scars of the huge elephant population. Elephant relish the succulent bark of Baobab trees and gouge into the tree trunks with their powerful tusks. Ruaha has a handful of camps and lodges and the distance from Dar es Salaam makes the park less visited. 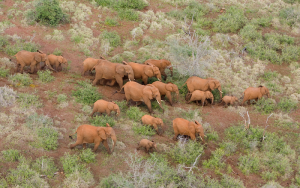 The park is believed to have the highest population of Elephants than any other national park in East Africa. Also found are Lions with prides of upto 40, Leopards, Cheetahs, Giraffes, Buffalo, Elands, Zebras, Impala, Grant’s Gazelles, Jackals, Greater and Lesser Kudu, Hartebeest, Roan and Sable Antelope. Ruaha is a bird’s paradise with more than 571 species of birds sighted inside the park. Some of the common birds found are Saddle-billed Storks, Goliath herons, White-headed Plovers, Ruaha Red-billed hornbill. Birds can be seen throughout the year, the best time for bird watching is during the wet season from November to March. Gombe is Tanzania’s smallest of National parks at just 52 square kilometres of forest running along the shores of Lake Tanganyika. The park is located 16kms north of Kigoma. Jane Goodall’s behavioral research program was founded in 1960, to learn about the behavior of humans’ closest relatives, which now stands as the longest study of its kind in the world. Gombe Stream National Park is famous for its Chimpanzee population, but besides Chimps, other primates that inhabit in this park are Red Colobus monkeys, Olive Baboons, Red-tailed monkeys and Vervet monkeys. The Park is also a home to over 200 species of birds ranging from Iconic Fish Eagle to the Peter’s twinspots. Mahale Mountains National park covering an area of 1,613 square kilometres, is located in the Western Tanzania. 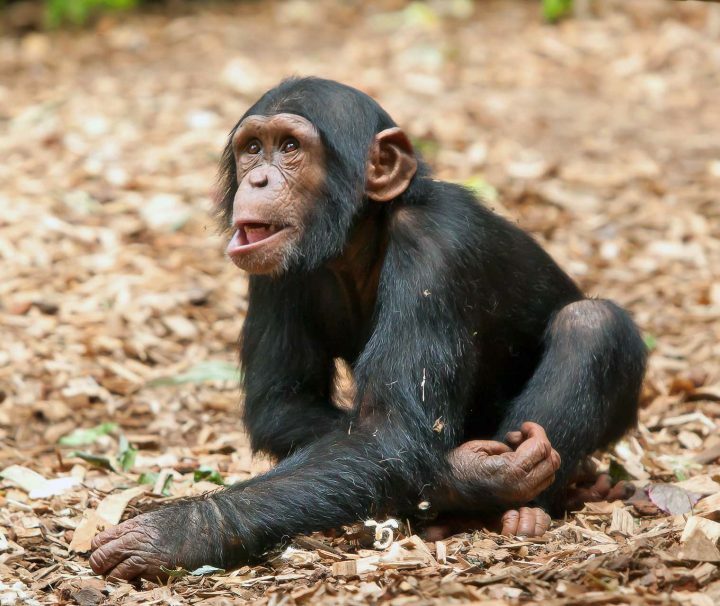 Mahale is home to some of Africa’s last remaining wild chimpanzees; a population of roughly 800, habituated to human visitors by a Japanese research project founded in the 1960s. The terrain is mostly rugged and is dominated by the Mahale Mountains chain. The highest peak, Mount Nkungwe rises to 2,462 metres above sea level. Tracking the chimps of Mahale is a magical experience. The guide’s eyes pick out last night’s nests, shadowy clumps high in a gallery of trees crowding the sky. Scraps of half-eaten fruit and fresh dung become valuable clues, leading deeper into the forest. Ascent of the highest peak in the Mahale Mountains ridge, Mount Nkungwe is one of the most spectacular activities for tourists. It takes 2 to 3 days to reach the summit. At 4,471 square kilometres Katavi National Park, Tanzania’s third largest national park, lies in the remote southwest of the country. 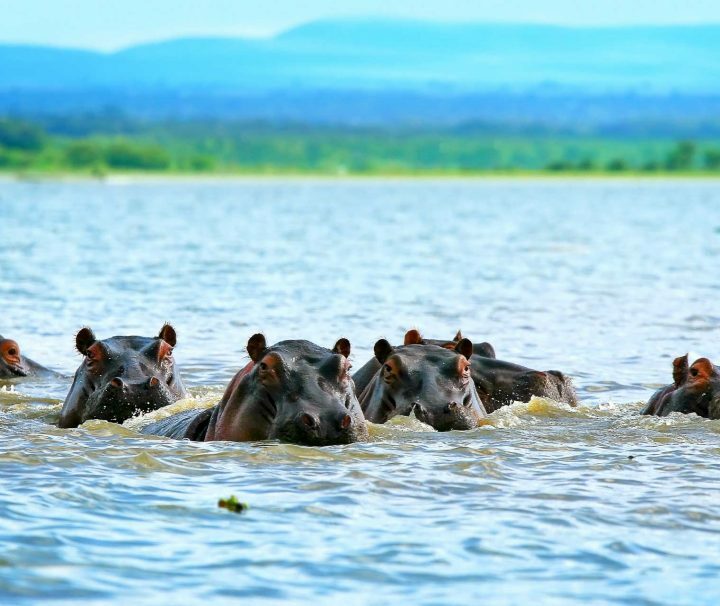 Katavi boasts Tanzania’s largest population of crocodiles and hippos, while lion and leopard find prey among the huge population of herbivores – impala, eland, topi, zebra and herds of buffalo up to 1600 strong. The rare, honey coloured puku antelope is one of the park’s richest wildlife viewing rewards. The park’s main geographical features are the watery grass plains to the north, the palm-fringed Lake Chada to the southeast and the Katuma River. These areas are particularly rich in wildlife.